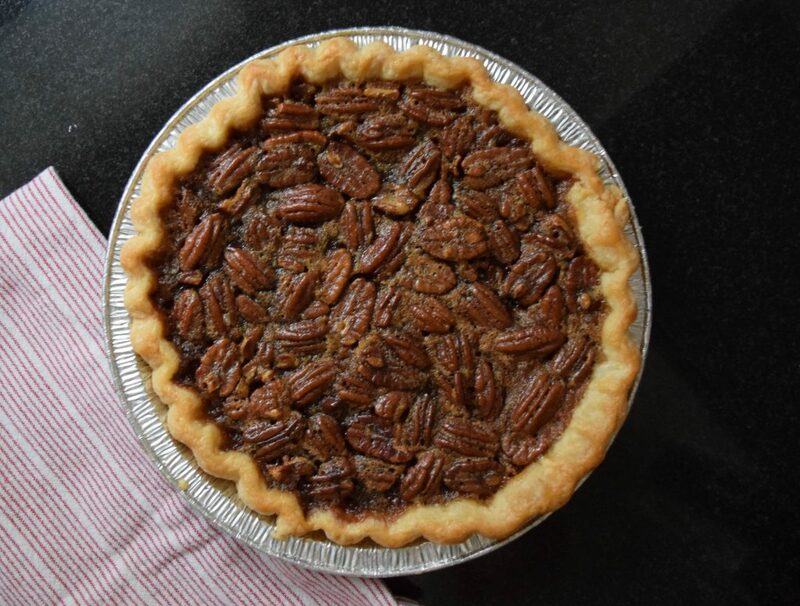 This Chocolate Chip Bourbon Pecan Pie is an adult version of my mom’s classic. The gooey filling is given a little zing of Bourbon flavor and studded with melty chocolate chips. The best part? It all comes together in a snap! 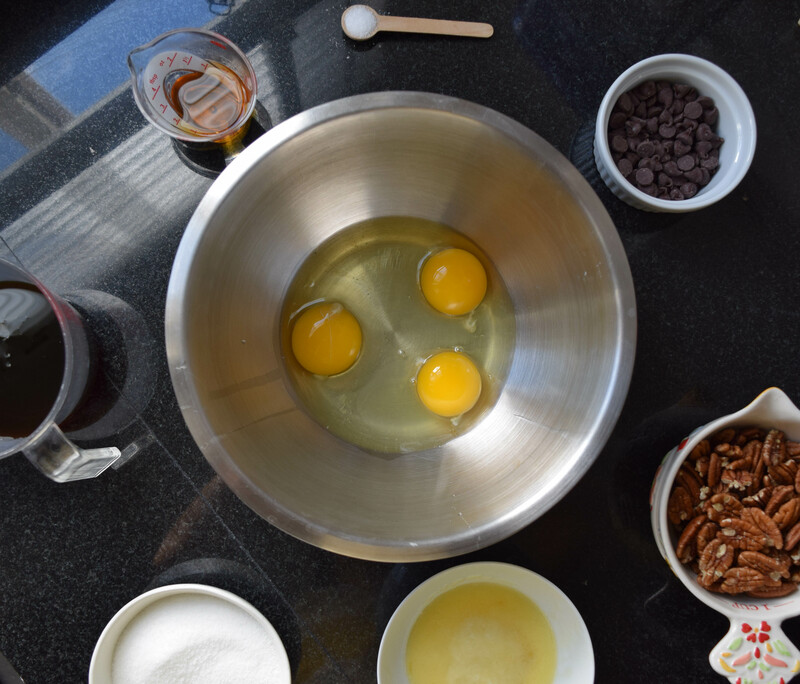 Make one today using your Farmer Owned ingredients and your friends and family will thank you! 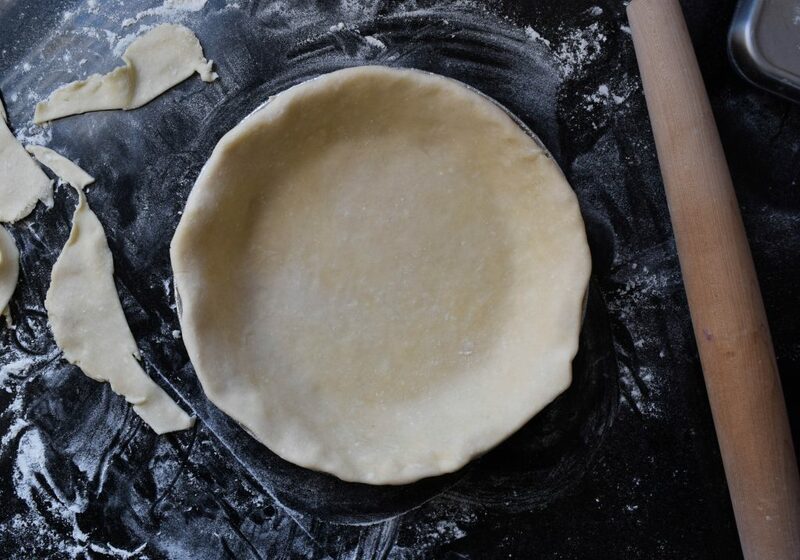 To make the pie dough, place the flour, salt and sugar in the bowl of a food processor. Pulse a few times to combine. Add the diced butter and pulse until the butter is the size of peas. With the motor running stream in water until the dough forms a ball. Turn out onto a floured surface and form into a disc. Wrap the disc in plastic and place in the fridge to rest for 1 hour. 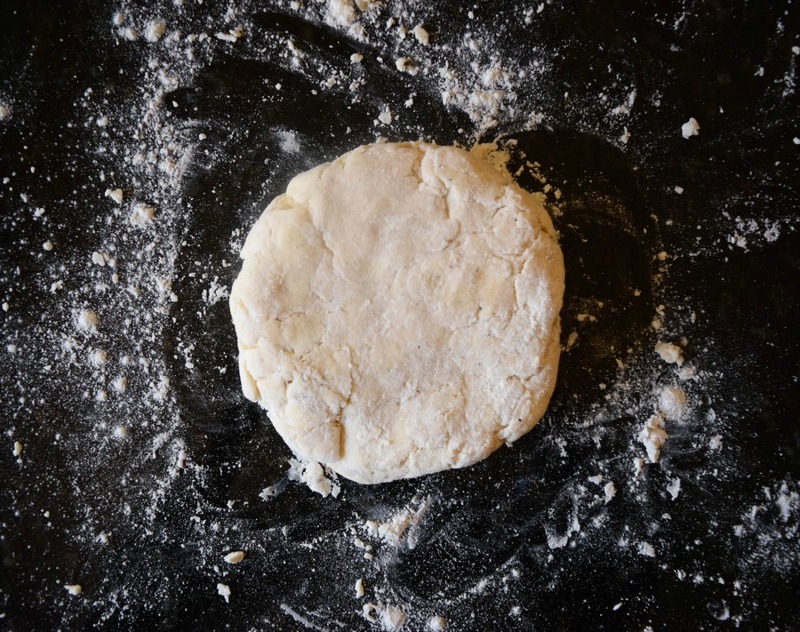 Once the dough has rested, roll out into a circle that is a quarter of an inch in thickness and slightly larger than a nine inch pie plate. Place into plate and trim edges. 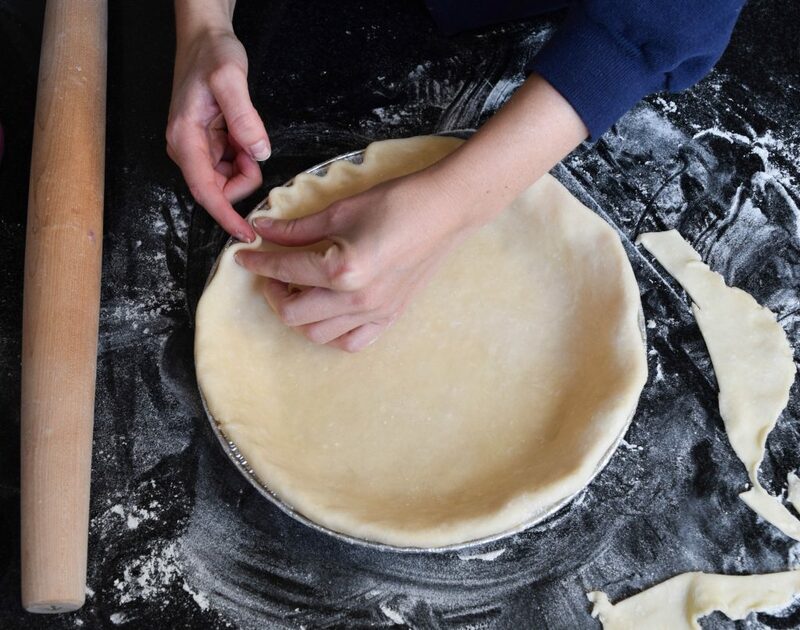 Crimp and egg wash the edges of the dough and then set aside while you make the filling. 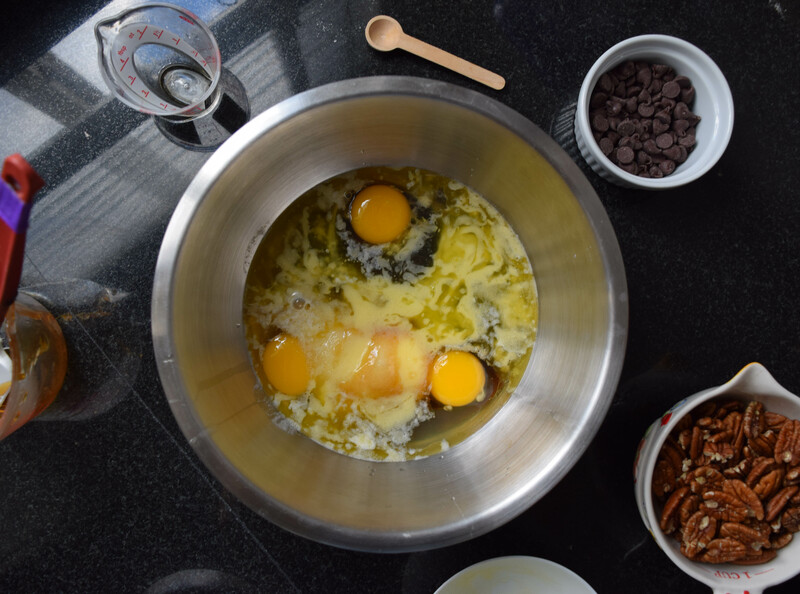 For the filling, whisk together eggs, sugar, melted butter, and dark corn syrup. 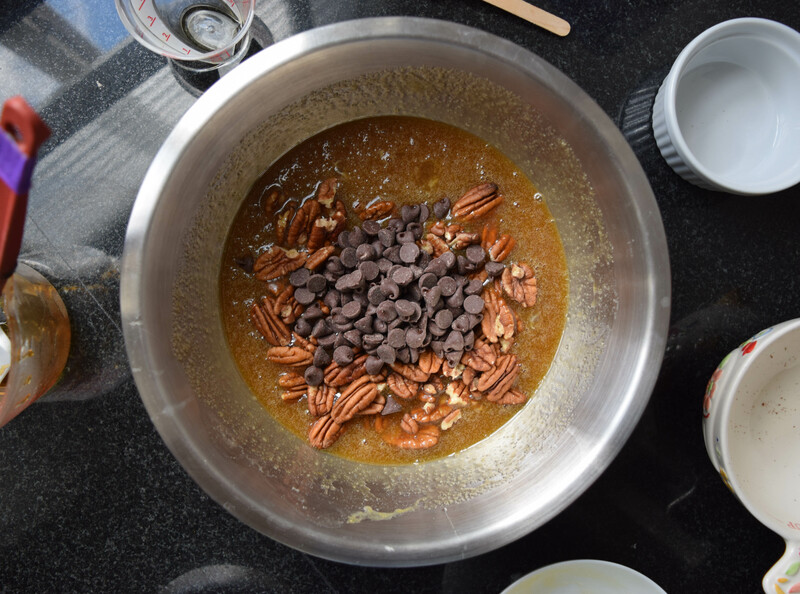 Stir in pecans, chocolate chips, and Bourbon. 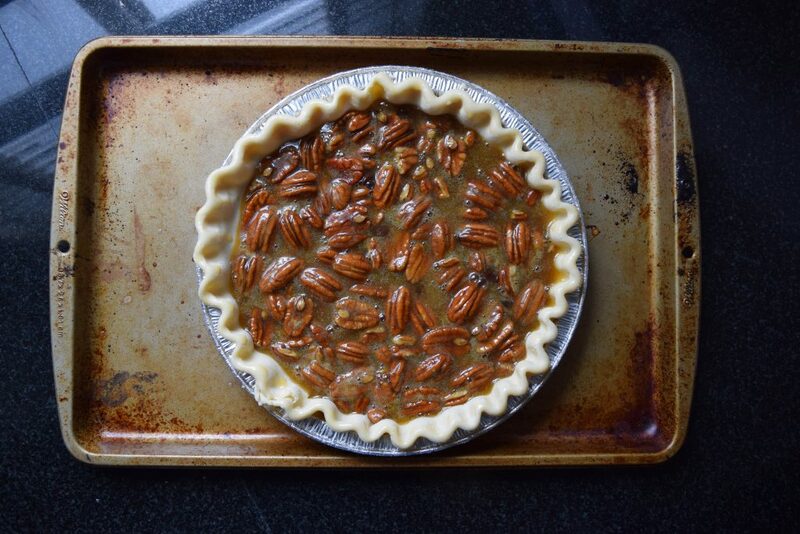 Pour into the prepared crust and transfer to the preheated oven. Bake for 40 to 50 minutes. The pie is ready when it is mostly set but still a little wiggly in the very center. Let cool it completely then slice and serve. Hi Sarah, you can absolutely use store bought pie crust!